Medical negligence is a mistake or substandard care by a medical professional, which caused you to become injured or made your condition worse. Although most doctors and medical staff are highly trained and provide an excellent level of care, mistakes do happen and they can have life-changing consequences for you as a patient. If you or someone in your family have received negligent medical treatment, we know it can be very upsetting – when you visit a doctor, dentist or hospital, you put your trust in the staff and expect to receive the treatment you need. A medical error can leave you feeling frustrated and let down. Compensation can’t make your injury or condition go away, but it can help you get the support you need to move on, or to get things back to how they were before your accident. To find out whether you could make a claim, you can speak to us on 0800 234 6438, or submit your details using the claim form on this page. Can you make a medical negligence claim using no win no fee? Quite simply – yes, the majority of the time you can make your medical negligence claim on a no win no fee basis. 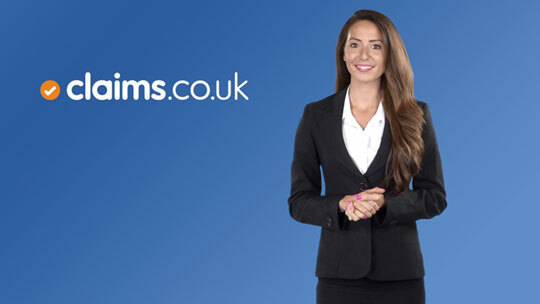 When you speak to us for the first time, we’ll be able to let you know whether we think your claim will be successful. But if you don’t end up getting any compensation, our no win no fee promise means that you won’t have to pay our partner solicitors any money. With no win no fee, there aren’t any upfront charges or hidden costs either. If you do win your case, your clinical negligence solicitor will charge you a ‘success fee’ as a percentage of the compensation you receive, but this will only take up a maximum of 25% – so you’ll still get to keep most of it. Although it’s rare, your solicitor will let you know before starting your claim if you don’t qualify for no win no fee. There are many different types of medical negligence, so you might be unsure whether you could make a claim following your experience. Generally, we can help you make a compensation claim for any negligent treatment if it occurred in the last three years, or if it became apparent in the last three years that the treatment you received was substandard and caused your condition to get worse. Any type of medical negligence can put your life on hold, at least in the short term. Sometimes the effects of negligence can lead to long-lasting health issues, and in extreme cases can even be fatal. Although making a claim might seem daunting, it can really help to make a difference during your recovery and into the future. Can I claim against a private practitioner, or just the NHS? When medical negligence happens, any medical practitioner – whether they are private or in the NHS – can be held liable for your injury. Medical negligence doesn’t always need to involve a stay or visit to a hospital. Many treatments, such as cosmetic procedures or dental work, can cause serious injuries if they go wrong. You have every right to make a compensation claim, whether it’s from a large NHS trust or a small private clinic. All medical organisations have a duty of care to their patients and should be expected to give you the compensation you need if they’ve failed to keep you safe. Find out more about making a claim for medical negligence compensation and how the process works. Seeing someone close to you suffer because of medical negligence can be very difficult. They might not feel ready to claim, or their injuries may have left them physically (or mentally) unable to do so. We can help you make a compensation claim on behalf of a close friend or family member. This means they’ll be able to get the support they need, but without the added pressure of speaking with our solicitors or dealing with the claim. We might even be able to arrange for them to receive some of their compensation before the final settlement. This is known as an ‘interim payment’, and could help to cover any immediate costs of their injuries, including the cost of accommodation if they’ve had to stay nearby to the hospital where they’re being treated. Unfortunately, medical mistakes can affect anyone – but young children are particularly vulnerable. Nobody deserves for their condition to become worse because of their treatment, but when children are involved it can be particularly upsetting. We can help you make a claim on behalf of a child at any point up until their 18th birthday. Or, once they become an adult they have until they are 21 to make a claim for an accident which happened while they were under the age of 18. Medical negligence cases can be very complicated because there are so many different factors, so it’s difficult for us to say exactly how much compensation you’ll receive for your claim. No two cases are the same, so the amount of money you’ll get will depend on your particular situation. You can also try our compensation calculator which estimates the amount of compensation you might receive based on your answers to some simple questions. After suffering from an injury due to medical negligence, it can be difficult to think about anything other than getting better. Because of this, making a compensation claim might not be the first thing on your mind, but it can help you get the support, treatment and finances you need. Aside from the emotional effects and your physical pain and suffering, your injury might also have been financially expensive. For example, you may have had to pay for private medical treatment to put your injury right, or you might have received reduced pay while taking time off work. Our specialist medical negligence solicitors will make sure you’re covered for all the impacts of your injury – they’ll work hard to understand what you’ve been through so that they can ensure you get the full amount of compensation you deserve. They’ll also take into consideration any likely future impact of your injuries or condition. For example, if your injury is particularly severe it might affect your future job opportunities, or you might need ongoing care and support which can be costly. However, there’s no need to worry about being swamped with paperwork or confused by legal terms. Our solicitors will be able to do most of the hard work for you – they’ll negotiate your compensation for you, and keep you up-to-date with any developments. If you still have questions about making a medical negligence claim, or would like to find out whether you could make a case, you can speak to us for free on 0800 234 6438. The majority of medical negligence cases are settled without you needing to go to court. Our clinical negligence solicitors will always try to settle your claim as quickly as possible by negotiating with the other party’s insurers or solicitors. This means they can usually bring the case to a close before it needs to go to court. But if, for example, the other party refuses to negotiate or has been slow to respond, then your solicitor might recommend issuing court proceedings. They’ll usually do this if they think it gives you the best chance of getting you a fair compensation pay out. If your case does go to court, there’s no need to worry. It can seem daunting, but our solicitors will be able to support and advise you through the process. In some cases, they might even be able to appear in court on your behalf if you prefer not to be there. The amount of time it takes to make a medical negligence claim can vary hugely depending on the complexity and severity of your case, and whether responsibility is admitted. A simple claim can take between a few months to a couple of years to complete, while difficult or high value cases can take years to conclude. When making your case, your solicitor might need to prove that the other party caused your injury or is responsible for making your condition worse – and this can take time. Your solicitor will pull together a lot of evidence and will use specialist opinion and medical reports to prove that you received substandard care. Even if liability is admitted by the other side it can take time to negotiate a fair settlement. Who will the claim be against? If you were given substandard treatment as an NHS patient your claim will probably be against the particular NHS trust which manages the hospital/clinic where you were treated. If you received the treatment as a private patient, your claim will be against the provider itself – though in practice, it will be against its insurance company. When you give your solicitor the details of who treated you and where, they will be able to explain who should be held responsible for your injury or condition. A high standard is expected of doctors and other health professionals. To prove that the member of staff who treated you was negligent, your solicitor will have to show that they failed to use their professional skills in the way expected from a reasonably competent specialist in their field. For example, in the case of routine surgery, a higher standard is expected of a consultant surgeon than a surgical trainee. And if your doctor doesn’t follow usual practice or procedure (for example, to warn of the risks of a procedure) and things go wrong, they may be held responsible for your injuries or for making your condition worse. It’s particularly devastating to lose a loved one as a result of medical negligence, but their death doesn’t mean you can’t make a compensation claim. Some people die straight after negligent treatment while others simply fail to recover. Sometimes people die from a fatal illness that was wrongly diagnosed. Whether a medical negligence claim was started before they died, or a claim was never started, you can still make an injury claim if you’re the spouse or next of kin, or the executor named in your loved one’s will. The amount of compensation will depend on the circumstances of your relative’s death, but might include compensation for any pain and suffering before they died, funeral expenses, damages for loss of dependency and for trauma suffered by a close relative. You may also be able to claim a fixed sum for bereavement damages. Your solicitor will be able to guide you compassionately through the options open to you and your close family. For medical negligence claims, you should aim to start a compensation claim as soon as possible while your memory is fresh and while your treatment is still ongoing. Starting earlier also often makes it easier to track down witnesses such as other doctors and nurses. You have up to three years to start legal proceedings after medical negligence, otherwise you could be prevented from making a claim under the Limitation Act 1980. The three-year time limit starts from the date of the poor treatment you received; or three years from the date of ‘knowledge’, ie. the date on which you first became aware that the substandard treatment you received directly caused your injuries or condition. If you’re claiming on behalf of a child, you have until they turn 18 to make a claim (they then have until they are 21 to make a claim in their own name). If you’re claiming on behalf of someone under a mental disability, this three-year period doesn’t start until they’ve regained their mental capacity. In most cases, it will be obvious when your treatment took place. However, the relevant ‘date of knowledge’ might not always be clear cut. Your solicitor will be able to help you with this.